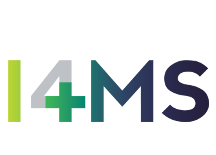 I4MS funding opportunities: the success story of LCM supported by Cloudifacturing. 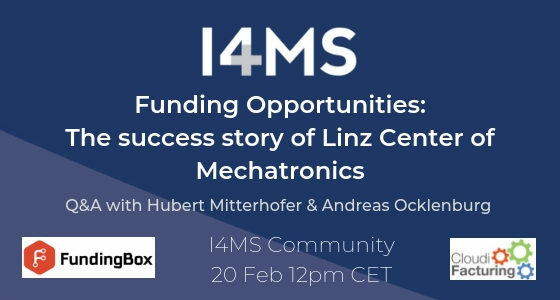 They will not only answer your questions, but they will talk about other topics like explaining how CloudiFacturing supported LCM, how the Marketplace can support SMEs, applications of the CloudiFacturing technology, as well as LCM sharing their unique experience within the project. The date for this event will be on February 20th at 12 PM CET and will have a duration of 45 minutes. You can participate in this event by preparing your questions and asking them online!